The crash course is designed to empower you to execute the team project. 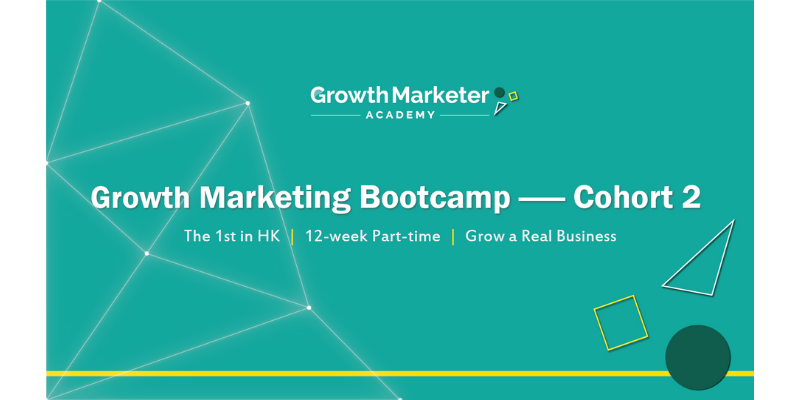 You will team up with 4-5 teammates to form a growth apprentice team to grow a REAL biz online in order to gain the PRACTICAL experience of executing growth tactics & building an online funnel. You will gain a Growth Mindset which empower you to do marketing experiment, make decision with data and achieve better result. To employ the Best Tactics of organic & paid ad acquisition as a data-driven marketer who collects, measures & analyzes data of the user journey. Be a Technical Marketer who can build landing pages for conversion, implement A/B test, marketing automation & even scrap competitor information. *University student discount: 10% off is given to encourage university undergraduate to learn Growth Marketing. *Guaranteed refund: If you do feel we fail to deliver, you can always ask for a refund of 50% training fee by the end of the 4th lesson. No question asked. *To enrol successfully, you should pass our phone interview to show your commitment to learning. We want to ensure great learning outcome for all enrolled students. *Attendance: If you can't attend any class, you have to study the notes (or the recording) so you can catch up. *Pricing: It will be increased in the next cohort. You won't be able to see this price again. The below are some similar programs in foreign countries.